Home Latest News ERP Double win for Tipalti at SuiteWorld and what next? 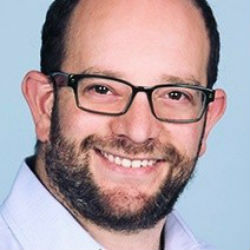 Enterprise Times had the opportunity to speak to Rob Israch, Chief Marketing Officer & Alliances of Tipalti during SuiteWorld 19. He was in a jubilant mood. Tipalti has just won its first SuiteApp award. Israch commented: “It was a great surprise to us. It was the first time winning a SuiteApp. It was pretty great. “We were called out in that same partner session because we rolled out in alignment with NetSuite’s strategy to go to the emerging markets. We’ve been able to do a little bit of the SuiteSuccess style of implementation using their best practices. We decided to roll out an express package. Ourselves and Dell Boomi were called out as adapting to the new model. Keeping that leadership is not achieved through solely winning awards. Enterprise Times asked Israch what changes customers can expect to see in the product during the next year. Recently Tipalti announced its integration to Procurify and Tesorio. A few months ago it completed an integration with Sovos as well. All three are NetSuite partners and Tipalti continues to improve its integration. At the moment Tipalti integrates to two ERP/Accounting solutions, QuickBooks Online and NetSuite. ET asked Israch if Tipalti will integrate with other solutions. Tipalti is also looking to leverage the recent growth of iPaaS solutions. It is talking with Apiant. This means that Tipalti will soon be capable of connecting its AP solution to virtually any ERP and Accounting solution and deliver a choice for customers on how they complete that integration. With awards won and a product roadmap defined, ET asked Israch what the future holds for Tipalti in terms of business success. Israch responded: “We just finished our first quarter and it is by far our best Q1 ever, in terms of orders of magnitude. We are seeing particular growth in NetSuite and QuickBooks. NetSuite is by far the bigger revenue, because of the nature of the customers, but Quickbooks has strong growth and that has come from a low base. “We have almost 500 customers now, a good chunk has NetSuite or QuickBooks. A good chunk is using ERP but they are not integrated with it. We have quite a few that are using different systems – not using an API to integrate and that works pretty well. Despite, or perhaps because of the recent success there are also challenges for any firm. ET asked Israch what ones Tipalti faced. “Keeping up with growth is definitely a challenge. We announced quite a number of new employees. It is the biggest quarter for hiring new employees to keep up with the growth. As you keep up with the growth we have just focused on the mission, value and the culture. Execution and the focus on customer is front and centre. It is the kind of growth where startups often fail to grasp the change in organisational processes its needs. If it does so, it often forgets its values. Tipalti appears to be growing with both in mind, if it succeeds in the tricky balancing act the future will be good. The Tipalti team is mainly based in Israel and the US. Are they considering opening offices elsewhere? According to Israch, 25% of the customer base is non-US. Those are mainly in Europe and several are in APAC. The biggest markets are Canada, UK, Germany and Israel. In APAC it has customers in Hong Kong, Singapore and Australia. Tipalti is likely to consider opening up an office in Europe first, Israch believes. However, that is unlikely to happen in the current calendar year and Israch is unsure where it will open. Without a doubt Brexit and what happens with the political situation will play a part in the final decision. Having won partners awards from NetSuite ET wondered how Tipalti was aligning itself closer to NetSuite. Dell Boomi recently announced that it had produced a SuiteSuccess solution for eCommerce. Is Tipalti likely to do something similar and does it align itself with the same verticals that NetSuite does? Israch answered: “We haven’t organised our business yet in a vertical way. I think we will to some effect. We know in which verticals we align with NetSuite, it is not always 1:1. The digital economy is one. It is really three verticals, one is AdTech which aligns with NetSuite’s AMP and a little with Software too. The other big vertical is ecommerce where there is definite alignment with Retail. 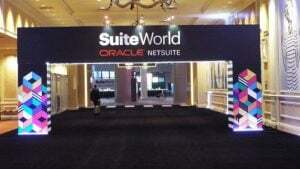 There are a lot of joint customers with NetSuite. Online services is another. With only 500 customers it is little surprising that Tipalti is only on the cusp of aligning itself vertically. It seems like the development efforts are more to service increasingly larger and more complex organisations as well as delivering solutions for other systems. The problem for Tipalti is that while it raised $30 million in a Series C funding round last February it cannot deliver everything for the market. It had a busy expo at SuiteWorld and by offering solutions on widely used solutions in the US such as Intact and Xero, it can leverage its existing US salesforce to accelerate that growth. Its cautious geographic expansion is sensible, however it will need to be wary of competitors who steal a march on them by opening offices abroad. Importantly, Tipalti seems poised, rather than over extended, for growth. It will be interesting to see whether it looks to raise further funds to accelerate that growth, especially considering the growth trajectory of NetSuite. It may need further funds to keep up.